Welcome to episode 134 of the LJS Podcast where today we are debunking 10 common myths about playing jazz. These myths are limiting beliefs that are holding us back from our full potential and improving as jazz musicians. You may resonate with some of these. Listen in! Enjoy listening to this podcast? If you get value from the LJS Podcast, help us out by leaving a rating and review on iTunes or your favorite podcast service. Thanks for your help! I’ve heard countless myths about playing jazz and learning how to play it. These are limiting beliefs that hold us back from our true musical potential. The truth is, I’ve fallen prey to these myths before too. But I’ve found that becoming a better musician is at least 50% mindset. Whenever I’ve conquered a limiting belief about my musicianship I’ve witnessed progress. That’s what I want for you too. So today’s episode is all about 10 myths I commonly hear about learning to play jazz. I debunk them one-by-one. 1. Jazz is only for the exceptionally talented. 2. You need to learn a bunch of fancy skills. 3. You need to know a lot about music theory. 4. If you keep listening and playing you’ll eventually get it. 5. The more hours you practice the better you will get. 6. You have to master something before you can move on. 7. 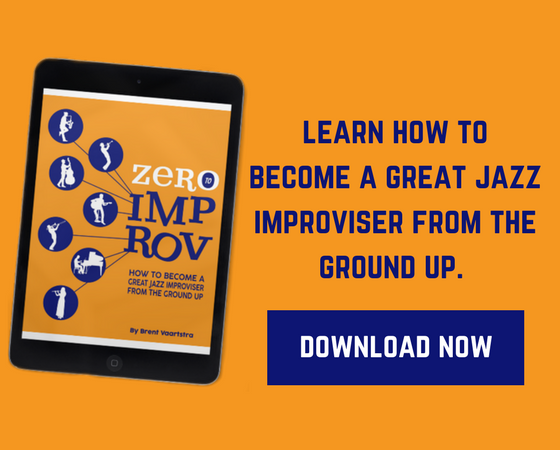 You need a lot of chops to be a great improviser. 8. You need to be at a higher skill level to play out live. 9. You need to know hundreds of jazz standards. 10. You should compare yourself to the best player in the room. Let’s conquer these limiting beliefs together. Which ones of these do you most resonate with? Leave a comment below. 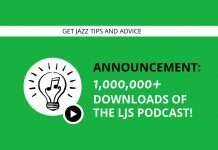 1,000,000+ Downloads of the LJS Podcast! Great podcast. All the points are good, but I think 5 and 10 really hit me. I've noticed that if I'm having difficulty with something I'm trying to learn, and day after day I can't get it, if I leave off for a few days or maybe even a week, then come back to it, the ability seems to have magically installed itself. And as for 10, well that's such a good point about competitiveness versus self-worth. Thanks for saying all that. So glad to help, Jeremy! It's great that you are recognizing the ones you relate to and are being mindful. Great episode!, This is like the only podcast I listen to and its defiinitely worth it. I'm relatively new to piano and have been teaching myself the basic theory(circle of fifths, major triad, minor triad, ear training, etc.) I'm currently working through my minor triads before I add a 7th to my chords. When I get to this point I think I'm going to take your tip and go find myself and instructor XD. Hey Alex, glad you enjoy the podcast! Sounds like you're doing some great stuff. Keep up the great work! I'm still stuck on the idea of mastering before moving on however, it just now occurred to me the sticking point is what does "Master" mean or look like? I'm not trying to bring everything up to shred speed. Some patterns I have to start at very slow speeds like 30 bpm to get the finger movements down while focusing on spot on time. I'll up the bpm when the time feel is comfortable and I'm not dependent on reading the pattern. I might get the 30 up to 60 or the 60 to 90 and move on. When I think about it, this is not really mastering the lesson so, maybe I'm not so stuck on mastering. I'm just locked in on good enough. I think in many ways you've affirmed that 'mastering' a piece of material is unrealistic, especially cause defining it can be difficult. I think you're doing all of the right things Joel! Improvement always happens over time as I'm sure you well know. "Improvement always happens over time" Soooo true! I recently watched a documentary about how researchers have discovered that the brain rewires itself and does it in conjunction with physical movement. I started reading a book by one of the researchers called "The Brain that Rewires itself". The practical applications are so obvious for learning music. Along with playing Saxophone, I'm revisiting drums and taking a course called Basic independence at Drumeo. Applying the ideas presented a LJS like using a metronome and practicing slow I realized what was actually happening was I was creating neuro connections which beyond a shadow of doubt guaranties that over time, improvement will occur. Just thinking of practice in that way is incredibly encouraging. Awesome Joel! Thanks for your input. Thank you Brent for this talk. I resonate with point 4 : I listened a lot of jazz along my years with no theory and no teacher except 6 hours of solfège in class at the age of 10. Now that I resume trial to play after more than 55 years of no practice at all, only listening, I understand why listening and naïve practice need to be backed by learning conceptually what the music is made of ; that's why I subscribed to 30 steps : a real pleasure to learn and progress that way. Resonance also with point 6 because I feel difficult to stop working on something with the feeling that it could still be better : your point 6 is a good lesson for me. As for point 10 it's at the same time a pain to play every Monday evening in my group with a friend good sax because I feel sometimes to spoil the work of our group, and also a pleasure to listen to his way and learn from him. So I try to produce good fruit from my tendency to compare. Thank for all I receive from your teaching. I discovered last night through youtube the performance of a colleague jazz teacher of yours called Chamarro in Barcelona Spain. If you don't know him, there's also a lot of worth in what he does, especially with jazz musicians kids. I'm happy to have discovered LJS and you. Hey Philippe, glad you enjoyed that episode! 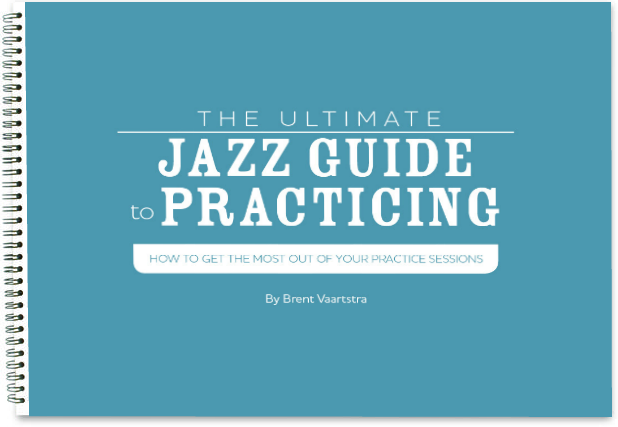 Also happy to have you in the 30 Steps to Better Jazz Playing course. It's good that you are aware of some of these things.